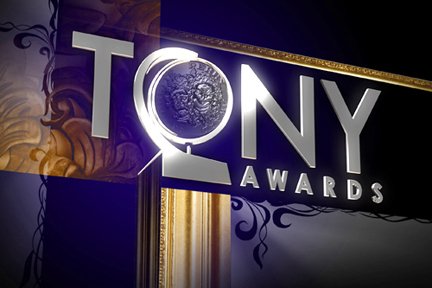 This season's Tony Awards were presented at The Beacon Theatre in New York on Sunday, June 12. With Neil Patrick Harris again proving to be a sharp and funny host, the ceremonies were carried live on CBS. Here's a list of this year's winners, highlighted in blue. Arian Moayed, "Bengal Tiger at the Baghdad Zoo"
Yul Vázquez, "The Motherf**ker with the Hat"
Joel Grey and George C. Wolfe, "The Normal Heart"
Anna D. Shapiro, "The Motherf**ker with the Hat"
Daniel Sullivan, "The Merchant of Venice"
Rob Ashford, "How to Succeed in Business Without Really Trying"
Susan Stroman, "The Scottsboro Boys"
Casey Nicholaw, "The Book of Mormon"
Doug Besterman, "How to Succeed in Business Without Really Trying"
Larry Hochman, "The Scottsboro Boys"
Marc Shaiman and Larry Blank, "Catch Me If You Can"
Todd Rosenthal, "The Motherf**ker with the Hat"
Mark Wendland, "The Merchant of Venice"
Beowulf Boritt, "The Scottsboro Boys"
Donyale Werle, "Bloody Bloody Andrew Jackson"
Jess Goldstein, "The Merchant of Venice"
Tim Chappel and Lizzy Gardiner, "Priscilla Queen of the Desert"
Ann Roth, "The Book of Mormon"
Catherine Zuber, "How to Succeed in Business Without Really Trying"
David Lander, "Bengal Tiger at the Baghdad Zoo"
Kenneth Posner, "The Merchant of Venice"
Ken Billington, "The Scottsboro Boys"
Howell Binkley, "How to Succeed in Business Without Really Trying"
Peter Kaczorowski , "Anything Goes"
Acme Sound Partners and Cricket S. Myers, "Bengal Tiger at the Baghdad Zoo"
Ian Dickinson for Autograph, "Jerusalem"
Peter Hylenski, "The Scottsboro Boys"
Steve Canyon Kennedy, "Catch Me If You Can"
Brian Ronan, "The Book of Mormon"